Do you need a report urgently? Don’t want the hassle of an inspector visit? 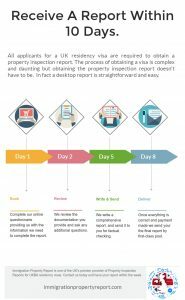 The Priority Online Report is the fastest and most convenient way to obtain your property inspection report. You provide the information online and we get you a report within 10 days. The typical Property Inspection Report involves visiting your home to collect information and documentation, verifying these and writing the report. Arranging a convenient time with an inspector (if one is available) can be awkward and it can often take weeks for a visit to be arranged at a convenient time for you. The Priority Online Report removes all the hassle and allows you to complete the whole process from your PC at any time. No need to take time off work or have strangers visiting your home. For areas where no assessor is available it is the only option. Because we do not have to arrange a visit we can produce the report faster (though time-savings will be dependent on you having information available). You do not need to arrange your schedule to be available at any specific time for us to visit. It is less intrusive as we do not have to enter your home. You can have a report 10 days from now. We guarantee production of the final report within 10 days from you returning of the questionnaire. As soon as you complete the online questionnaire we place you in the priority queue. Within 2 days we review the data and ask for any clarifications that are needed. It then takes 3-5 working days to produce a draft report which we email to you. This is only for you to check factual errors not the findings themselves. Once you confirm the factual elements of the report and complete payment we send you the final report by post. Usually we get the report to you in a shorter time but, as long as you respond to any queries rapidly, we guarantee a 10 day turnaround. The cost of this Priority Desktop Service is £150 and, just like the on-site report, it is for our team and effort so it is payable regardless of the findings of the report. 50% is payable now with the remaining 50% due before posting the final report. You can use our Online Assessment Tool to judge if you will pass or not.